June Burgess uses a unique technique to develop leadership and personal improvement through a range of workshops, 1-2-1 sessions and team building exercises. Using examples from the equine world and working alongside horses June demonstrates the collaborative community where all members feel included, respected and able to perform to their best. June has over 27 years in business including being a director of several successful companies and also ridden horses competitively at International level for over 20 years. 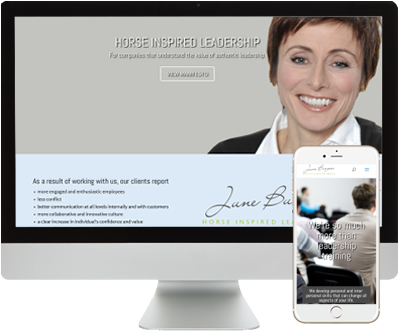 This unique brand of business development combines June’s vast business knowledge with her love and understanding of horses. We build a site that uses large, attract and colourful background images to make the textual and video content of the website stand out. Visit the site today at http://horseinspiredleadership.com/ and become inspired!